Day 1 of the event kicked off with opening remarks from the chairperson David and welcoming remarks from IoannaFiakkou, Chairwoman, National Betting Authority, Cyprus and Michalis P. Michael (Invest Cyprus). This was followed by a presentation from George Campanellason “Investing in Cyprus”. 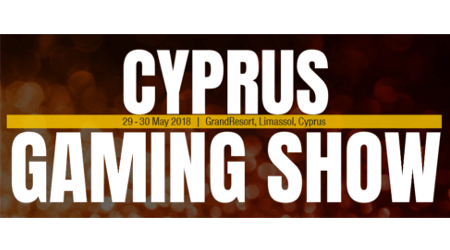 Per Jaldung (European Casino Association) took up the keynote session on “Challenges & opportunities for the land-based casino industry in Europe”, withChristos Ioannides (LLPO Law Firm)&Andreas Christoforou (ASC Law Firm Cyprus) presenting about the betting regulations in Cyprus. Tomas Drakšas, (Edgeless) gave a thought-provoking presentation on “Virtual world economy merging with ‘real world ’Economy”, while John Karantzis (iSignthis) spoke on KYC. Andrew Pearson (Intelligencia) presented to a captive audience on “Using Machine Learning and AI for customer intelligence and real-time personalization marketing”. Robert Brassai (Sense4Gaming) presented on “Big Data in Land Based Casinos”, with Margaret A Pitiris (Human Capital Solutions) giving a presentation on one of the most trending topic in the industry today –“The Game Changers: Talent Inclusiveness and Diversity in the Gaming Industry”. What followed weretwo panel discussions with key discussions on the current market of gaming in Cyprus & its future and the ICR, which all had eminent panellists such as Joseph Avraamides (Association of the Online Betting Companies), Spyros (National Betting Authority Cyprus), Stelios Eleftheriou (Parimatch Cyprus), Suren Khachatryan (Digitain), and Andy Choy (Melco Resorts & Entertainment). The rest of the evening saw delegates enjoying a cocktail reception sponsored by the NBA. Day 2was kicked off by Andreas Zachariades (Board Member of the Gaming and Casino Supervision Commission), followed by a presentation on the ICR by Craig Ballantyne (Integrated Casino Resort Cyprus)& responsible gaming by Isobel John. Philippos Katranis (Cyprus Integrated Casino Resort Steering Committee) joined the ICR panel, along with Andy Choy and Craig.Aristodemos Kolocassides presented on sponsorship in gaming. The rest of Day 2 offered four panel discussions on GDPR, AMLD, future opportunities and the tax landscape in Cyprus. Each panel had key panellists, including the likes ofCostas V. Katsaros,Dr Christiana Markou, Dr Philip Jougleux (European University Cyprus, School of Law), Katerina Antoniou (Deloitte), Styliana Loizou (NBA), Demetris Taxitaris (MAP S.Platis), Michael Christos G. Charalambides (ECOMMPAY), Angelos Gregoriades (KPMG Cyprus), Viktoria Soltesz (Blackmoon Financial Group), and Demetris A Tsingis (FINCAP Advisers). With the outstanding support we have received and the positive feedback from the industry, Eventus International would like to once again thank all the speakers, sponsors, exhibitors and participants of CGS 2018 for their part in making the event a huge success for us. We look forward for CGS 2019!